Governments and business often seek advice on benchmarking and pricing optimisation. gsc consultants can provide innovative advice in areas of optimal pricing, market and comparative benchmarking. 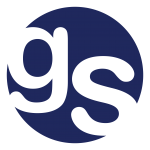 The value that gsc brings is our understanding of underlying principles of the markets and economic problems that allow us to provide. Consultants from gsc have experience conducting pricing analysis of environmental efficiency products for the NSW Office of Environment and Heritage and costing studies for a variety of freight railway operators, benchmarked capital costing for Transport NSW and have provided a benchmark study for the Australia Duty Free Association. Infrastructure benchmarking – gsc assisted in a benchmark study for relativities in infrastructure costs across all jurisdictions in Australia. gsc provided benchmarking analysis on the tourist refund schemes in place in Australia and other comparable countries in the world. The report provided a thorough comparative analysis of the nature and operation of tourist schemes to inform policy in the Association.